The Chime Panel has a full scale of eight notes that allow children and adults to play a song and sing along. Children can hear contrasting sounds as they hit each note. The pipe is a heavy gauge aluminum that will not rust. 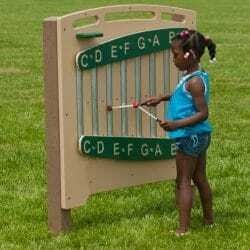 The Chime Panel is enjoyable by itself, or combine it with the Xylophone and Drum to create a mini orchestra on your preschool playground. 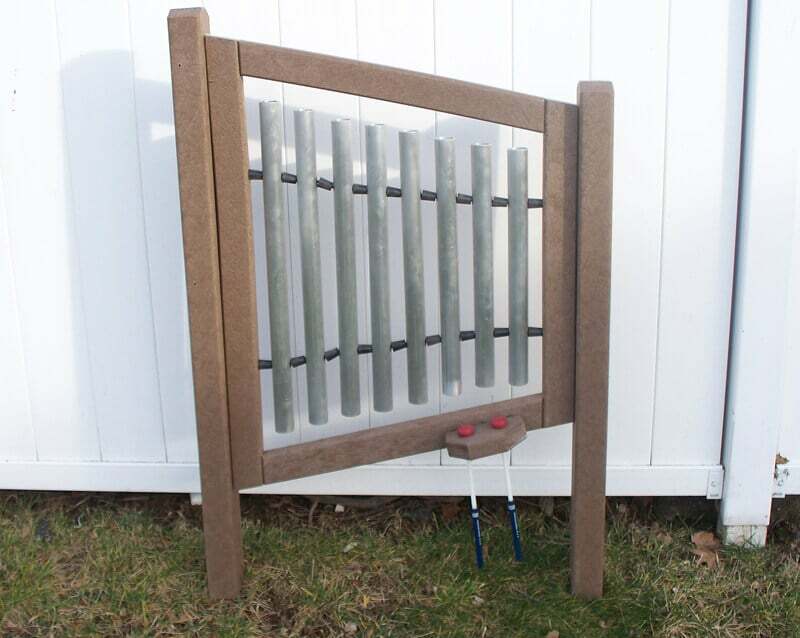 This outdoor preschool play equipment can be left outside in all types of weather. 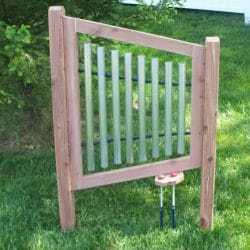 The Chime Panel is available in cedar or maintenance-free plastic. One pair of mallets is included with the purchase.